After ENSL and Latinoware I am back to work... or kind of, I am going to talk to my current employer tomorrow to decide my future in the company. In the meantime I have fixed one bug in the Mobile Connection Wizard (MCW) which Anselmo, from INdT (Nokia Technology Institute) told me during ENSL conference two weeks ago. Now if MCW finds something wrong opening or parsing the two files it needs to work it will fallback to the old manual configuration dialog. The two mentioned files are /usr/share/zoneinfo/iso3166.tab and /usr/share/mobile-broadband-provider-info/serviceproviders.xml. Yesterday I tried (again) to fix one crash in Plasma NM when NetworkManager restarts. It seems to work now and without the side effects that forced me to undo the changes last month. I am going to do some more tests and commit the changes later on. 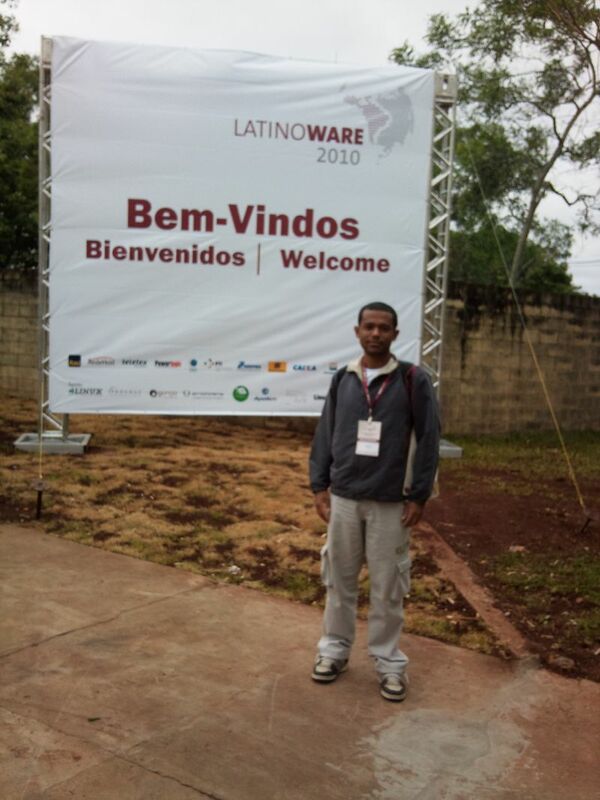 I did not posted about Latinoware's second and third days but I must say they were great :-) really fun, no rain during all event (last year it rained a lot in some days), I could visit Paraguay at last, I gave my DBUs mini-course lecture, it was like a private lesson as only one person appeared :-). Unfortunately I could not solve Camila's netbook wifi card problem. In the end I recompiled the kernel, which took more about 10 hours (!) in her netbook and the driver complained it does not recognise the wifi card. The problem is just that: there is no (100%) opensource driver for that wifi card, there are some binary drivers (3dsp.ko) but not for Arch Linux kernel, so I tried to recompile this old driver I found in the manufacturer web site. After a couple of changes I had to do in the driver's source code it compiled but not worked. Even ndiswrapper crashes when loading the Windows driver, so no go for now. The last options are changing from Arch Linux to one of the "supported" distributions or buy another card. Ok, let's stop talking about Paraguay. This first day we had all KDE lectures, tomorrow we are going to have Sandro's mini-course (Desktop and Mobile Developing with Qt 4.7) and in the (almost) last event of the last day my mini-course about programming with DBus (next Friday). I took most of today's photos using Camila's camera, so I do not have the event's photos with me right now. After some delay the event started with Tomaz Canabrava's lecture, "Programming with Efficiency: Two Games in 40 minutes". In the afternoon we had Adriano's ("Developing Rich Interface Qt Applications for Mobile") and Camila's lectures ("KDE Needs You: Paths to Start Contributing"). Ronny Yabar from Peru could not present his lecture "3D Developing with Qt and KDE" as far as I know because he became sick and was not able to take his flight to come here. Jos Poortvliet is going to present his lecture ("Why are you at Latinoware") tomorrow. As the last event for this first day we had a confraternization with live music played by a local band. 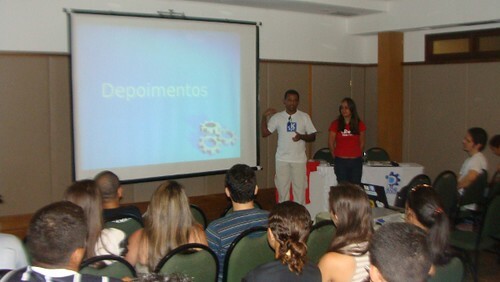 I am back from the IV Northeast Free Software Meeting (ENSL in Portuguese), which took place in Natal city. 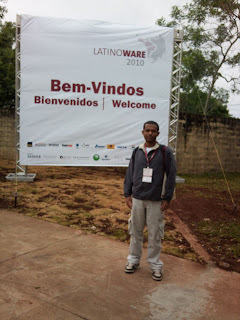 Photos, photos :-) Tomorrow I fly to Foz do Iguaçu to attend Latinoware. ENSL is the second edition of the III KDE Brazil Forum, the first one was in FISL, the next one is going to be during Latinoware, where KDE Brazil members will present lectures and mini-courses about Qt/KDE community and technologies. During the event we had the idea of making a KDE quiz to know who really learned something from our lectures. 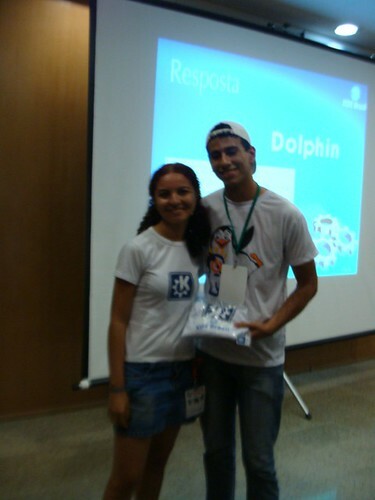 Who answered the question correctly won a KDE kit (t-shirt and two stickers). There were also some really funny answers hehe. The IV (Brazilian) Northeast Free Software Meeting (ENSL in Portuguese) is going to start next Friday and I am going to Natal city to attend it :-) That is going to be my first visit to Natal, which is +/- close to Recife, where I spent eight days early this year. I like northeast beaches because of the warm sea water. You just really need to use sun protector in the North, the sun there is noticeable stronger than here in the middle of Brazil. After ENSL I am going to to Belo Horizonte and two days later I going to Foz do Iguaçu for Latinoware, the second biggest Brazilian free software conference, in the triple border between Argentina, Brazil and Paraguay. In both conferences I am going to present a DBus programming mini-curse. Actually I am in a hurry these days to finish the last presentation details. We are going to have the III KDE Brazil Forum inside both ENSL and Latinoware, so if somebody is visiting (or live near) Natal or Foz do Iguaçu go there to see us.